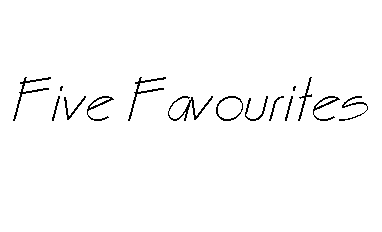 I have a lot of favourites, all in totally different fields but I thought I would start with the most relevant to the blog: my top five favourite beauty gurus from YouTube (now referred to as BeauTubers), I can't really decide in what order to put them so it's just a random-number list of my right now-faves. I don't think that this is a surprise to anyone - Michelle Phan is probably the most famous BeauTuber from YT and has been the reigning one for quite a while. She's had her time with Lancôme and owned the brand IQQU - however, now she organises GlamBags and runs the make-up brand EM Cosmetics (unfortunately, she gets a lot of comments due to the brands inability to ship internationally as well as the price tag). I don't know why, but I love watching her put on eye make-up - she has gorgeous (huge) eyes and long luscious lashes that people would kill for, on top of that she has really great looking skin and incredible hair - she's also known for loving natural selections - and almond oil is her favourite type of oil. What can I say about Kathleen? I recently came upon her videos on my regular YT-spree. She creates pretty looks that I think a lot of people can pull off (nothing too advanced which I know (from comments) that a lot of people dislike since they won't even bother to try doing it). While browsing around and looking for reviews I found this BeauTuber and I instantly took a liking to the way she reviews. Granted, I'm not as interested in fashion and hair(styling) as I am in make-up and skincare but I like her beauty videos. She does intricate videos of foundations where she wears it throughout the day and then give a full review of it, and that's just one of many things. Everyone who's interested in make-up should know who Promise Phan is - she is the queen of transformation and she's done countless amounts of videos where she turns herself into everything from Beyoncé to Jay-Z (and she does it well). On top of that she seems to be a genuinely kind-hearted person. I subscribe to a lot of YouTubers, not just beauty-related.